It has been a busy few weeks for one of Canada’s most innovative tech companies. North—formerly Thalmic Labs—has received a $24 million investment from the Government of Canada as part of the Strategic Innovation Fund. The new grant will go towards building out North’s advanced manufacturing capabilities in their hometown of Kitchener-Waterloo. North recently unveiled Focals, their latest project that is a stylish pair of smart glasses built for everyday wear. 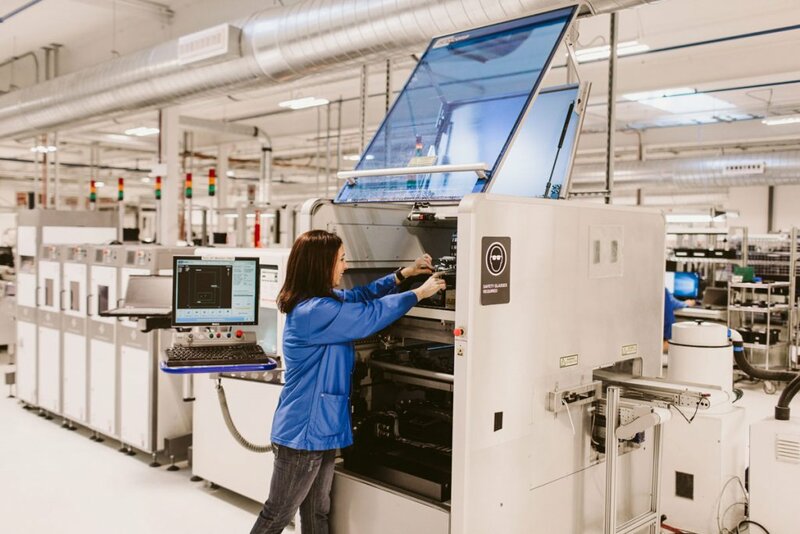 To build Focals, North constructed a 60,000 square foot facility in Kitchener-Waterloo, and the company is dedicated to keeping advanced manufacturing in the city and under their watchful eye. A look at North’s manufacturing facility in Kitchener-Waterloo. The $24 million will go towards expanding North’s existing facility as well as adding more R&D and testing techniques. Lake explains that interest in the Strategic Innovation Fund has been there for a long time, but the confirmation of received funds was only recently revealed. This investment signals North’s dedication towards building and scaling their intellectual property within Canada. Lake and his team are committed to scaling the company within the Kitchener-Waterloo region, which is also an important aspect for the Strategic Innovation Fund. This is one of the few scale-up companies to receive funding form the program—many of the other recipients are either established businesses (such as General Fusion) or organizations (such as the Creative Destruction Lab). On top of this new investment, North also officially opened the doors to their brick-and-mortar shops in Toronto and Brooklyn, New York today. Those looking to purchase a pair of Focals must visit one of these physical stores have to stop by one of these stores to go through North’s advanced fitting process.